An ezConfig is a configuration software for ezTCP. Only the Windows O/S version is available. 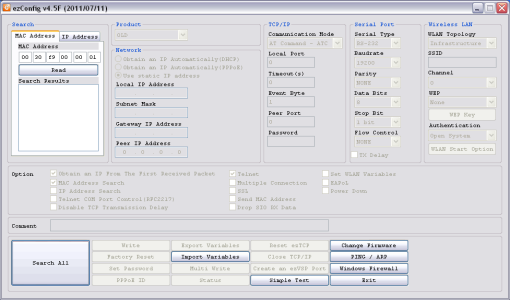 It is used for setting ezTCP, upgrading firmware of ezTCP, monitoring the communication status of ezTCP, and testing ezTCP.